France is opening up police and ministerial archives from the Vichy regime which collaborated with Nazi occupation forces in World War II. More than 200,000 declassified documents are being made public on December 28. 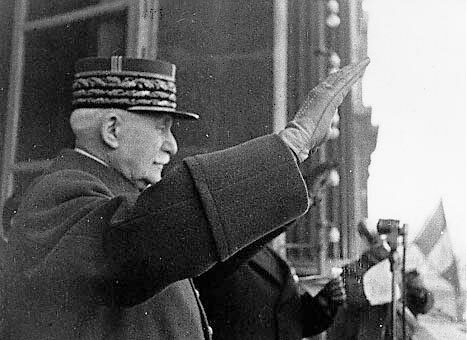 They date from the 1940-1944 regime of Marshal Philippe Petain. During WWII the Vichy regime helped Nazi Germany to deport 76,000 Jews from France, including many children. France is also opening files from its post-liberation provisional government. The Vichy documents come from the wartime ministries of the interior, foreign affairs and justice, as well as the police. Some of the archives relate to war crimes investigations conducted by the French liberation authorities after the defeat of Nazi Germany. Speaking to French TF1 television news, historian Gilles Morin said the archives would probably shed new light on the arrest of Jean Moulin, a French Resistance leader who died after his capture and torture by the Nazis in 1943. Police records and notes seized from French Resistance comrades will now add to the witness statements that researchers have relied on until now, Gilles Morin said. “There is also a demand from the children of deportees, and of those who were executed, who want to know – and that’s a legitimate demand,” he said. Previously only researchers and journalists could see some archives, with special permission. Under French law, public access is provided after 75 years have elapsed – and that is now the case, for 1940-dated documents. The current mayor of Vichy, in central France, told The New York Times that he was concerned about the enduring stigma attached to his city. It was where Philippe Petain established his collaborationist regime. Former French Resistance fighter Lucien Guyot told the paper that the Petain government “went far beyond the Germans’ expectations, in particular with the deportation of <<foreign>> Jews, including children, to concentration camps, and they chased us down with a vengeance”. “But it was the government’s actions that were unforgivable, not this city’s,” he added. In 1995, then French President Jacques Chirac officially recognized the French state’s responsibility in the deportation of Jews.